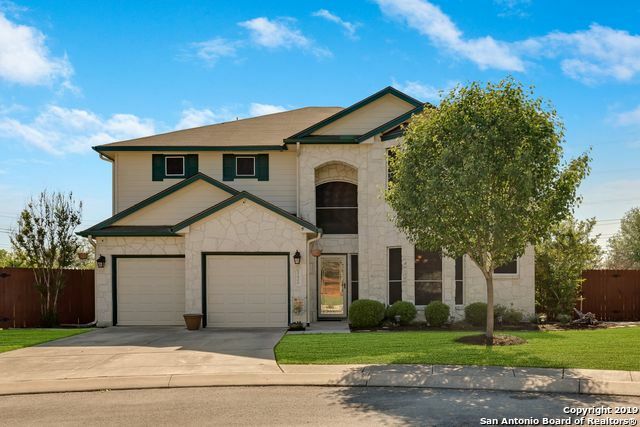 All CEDAR SPRINGS homes currently listed for sale in Helotes as of 04/20/2019 are shown below. You can change the search criteria at any time by pressing the 'Change Search' button below. "Amazing location!! Gorgeous home situated on 2.45 very private acres on a cul de sac in a gated community minutes from 1604 and shopping. This two story home welcomes you with the entry leading to the formal dining and kitchen open to the family room boasting a great fireplace and views of the lovely back yard. Upstairs features the large master suite with tray ceilings, a wonderful study/sitting room opening to a nice size deck, spacious game room and two guest bedrooms." "Great location with controlled access. 4 bedroom, 3 1/2 bath home on cul-de-sac lot. Open floor plan, fireplace in family room with one secondary bedroom downstairs. Refrigerator, washer and dryer to convey. Community has pool, tennis court, clubhouse, basketball court, park and playground. Come out to see it today!" "Beautiful home nestled in desirable gated community of Cedar Springs. Upgraded hardwood floors, granite countertops in kitchen, NEW Kitchen appliances! 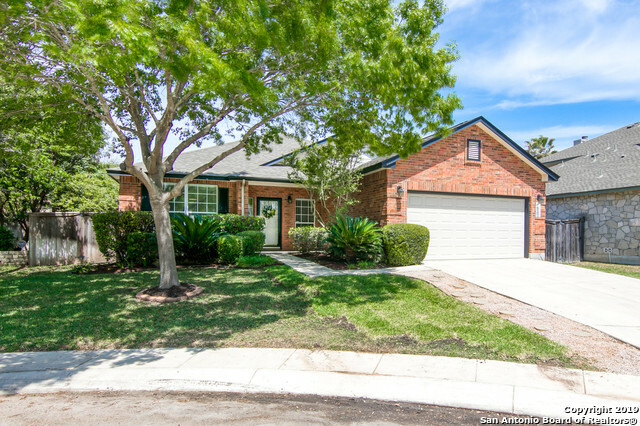 4 BD/2 BA, 4th bdrm w/ French doors; easily converts to office, play room, or nursery. Spacious Master BD w/ large walk-in closet. Low maintenance backyard w/ huge back patio. Neighborhood park includes a wonderful pool, play ground, club house & tennis/basketball courts. NSISD Schools, EZ access to Loop 1604, IH10W, HEB, La Cantera, The Rim"
"Welcome to Cedar Springs, a well desired neighborhood in Helotes. Here awaits a recently updated 1 story on Culdesac. This open floor plan has so much to offer such as eat in kitchen accented w/granite countertops where you can appreciate gas cooktop as well as double ovens. Large Living w/fireplace & separate dining. New Carpet w/ wood & tile floors. Office nook by utility & updated cabinets in bath. Venture in to backyard & lounge under covered patio. New roof & fence in 2016. USDA financing "